print your certificate of completion and then carry it with you while you're gathering antlers. take a screenshot of your certificate of completion and then store the screenshot on your phone or another mobile device. You must carry the mobile device with you, with the screenshot saved on the device, while you're gathering antlers. 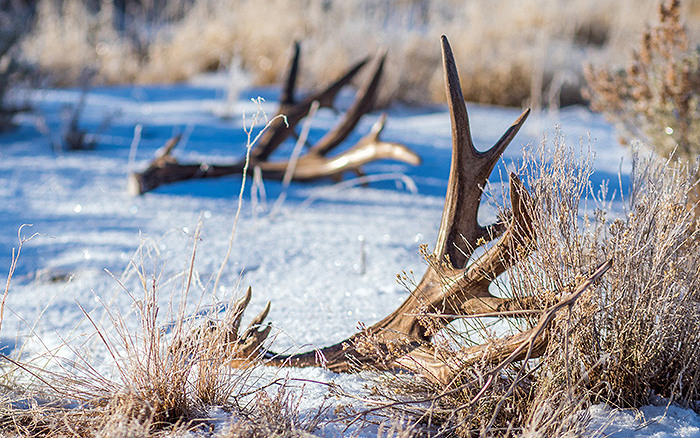 Before you head out the door to collect shed antlers from Feb. 1 to April 15, you must complete the Utah Division of Wildlife Resources' Antler Gathering Ethics course. You do not need an antler-gathering certificate at any other time of the year. You can take the free course online. Collecting antlers that fall off the heads of deer, elk and moose each winter is a popular pastime in Utah. After dropping their antlers, male deer, elk and moose will grow a new set starting this spring.